Switching between abbreviations and full names of States can be useful when transferring address data, yet it can be labor intensive. In Excel you may use a VLOOKUP, and in SQL you may use a JOIN. 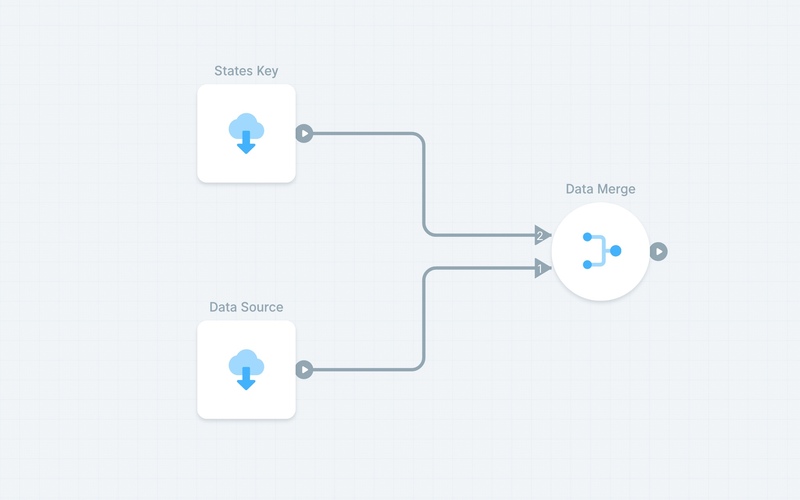 Using provided data that has both the long form and abbreviations of states makes adjusting your data as simple as using the Join Object to add key data directly to your data. Just choose if you want to match along the abbreviation or the full name.